Sales and support go hand in hand. Shouldn't the software they use too? If you've got the best CRM software, it only gets better with the best help desk integration. 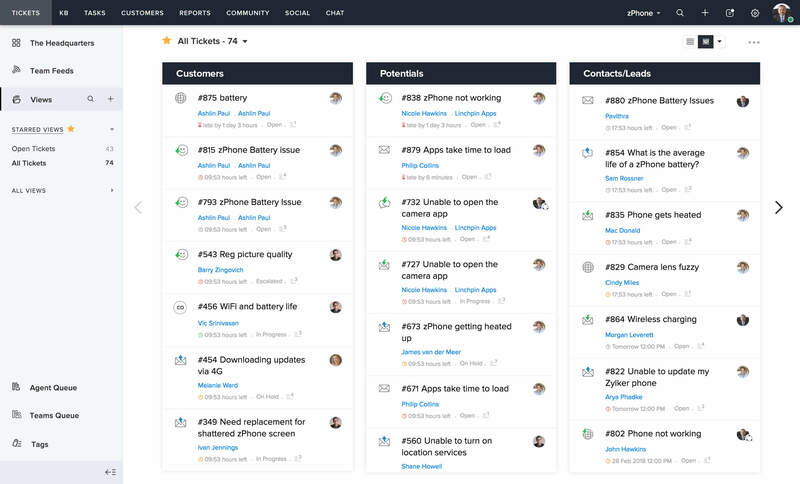 All the customer data you need without the hassle of multiple tabs. 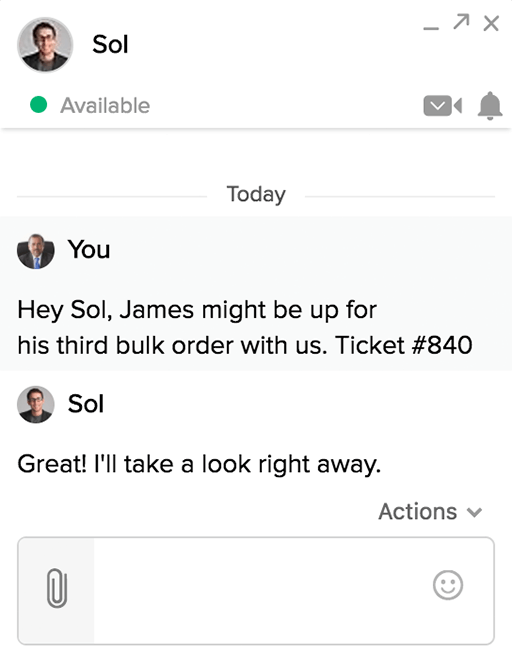 Your support team gets more context about the ticket's CRM status, before they even open the ticket. Within the ticket, there's more context about every lead, potential, and customer. Your Sales and Support just moved in together. 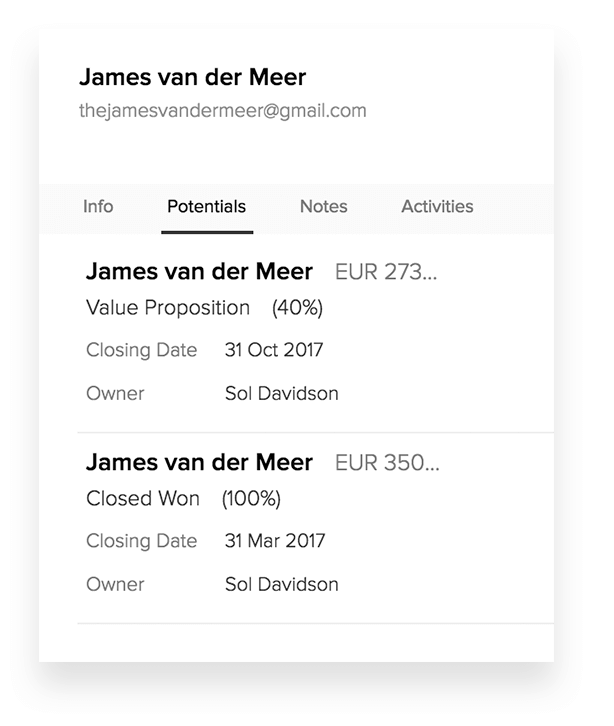 Your Sales team can keep track of what their leads, potentials, and customers want, in real time. Sales with a bit of support. 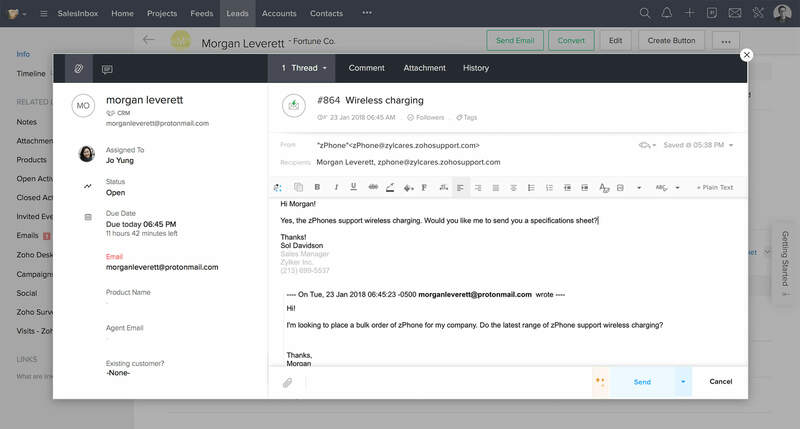 No more shuffling between your CRM and Helpdesk. 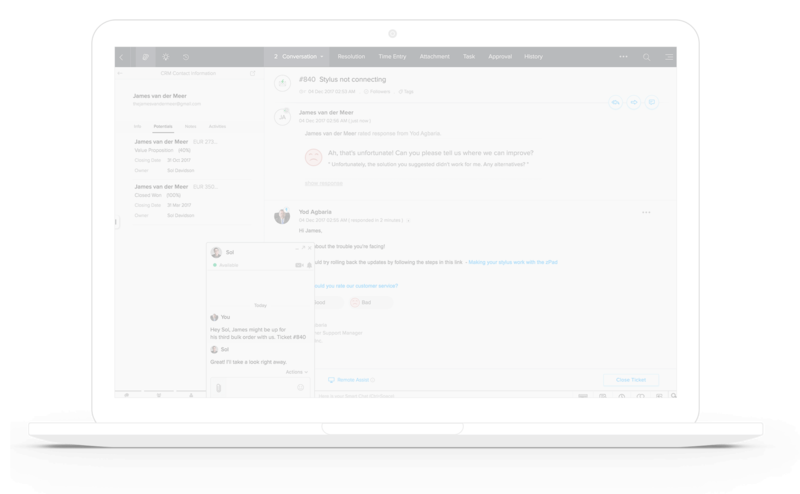 Zoho Desk opens up from within Zoho CRM. Translate customer loyalty into repeat business with Team Collaboration from Zoho Desk. 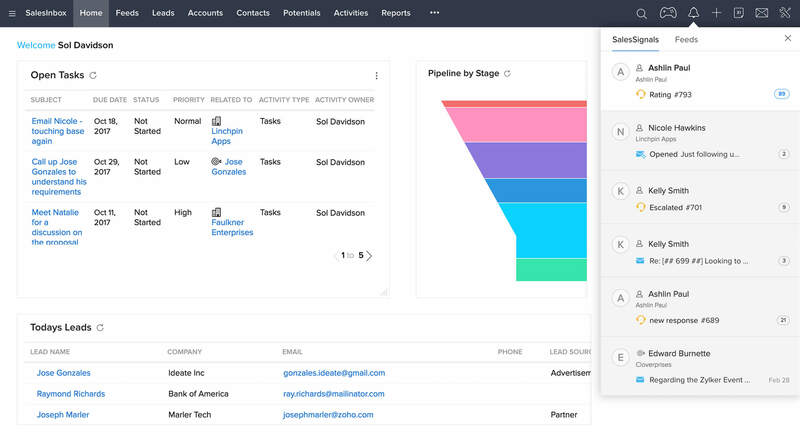 You've got the industry's best CRM software. Why let your support software lag behind? "I moved from Freshdesk to Zoho and I see great value for money. Integrates very well with other Zoho apps, the UI is great, and the support from the Zoho team is also very good." Samir FaruquiDigital solutions manager, Tata Chemicals. 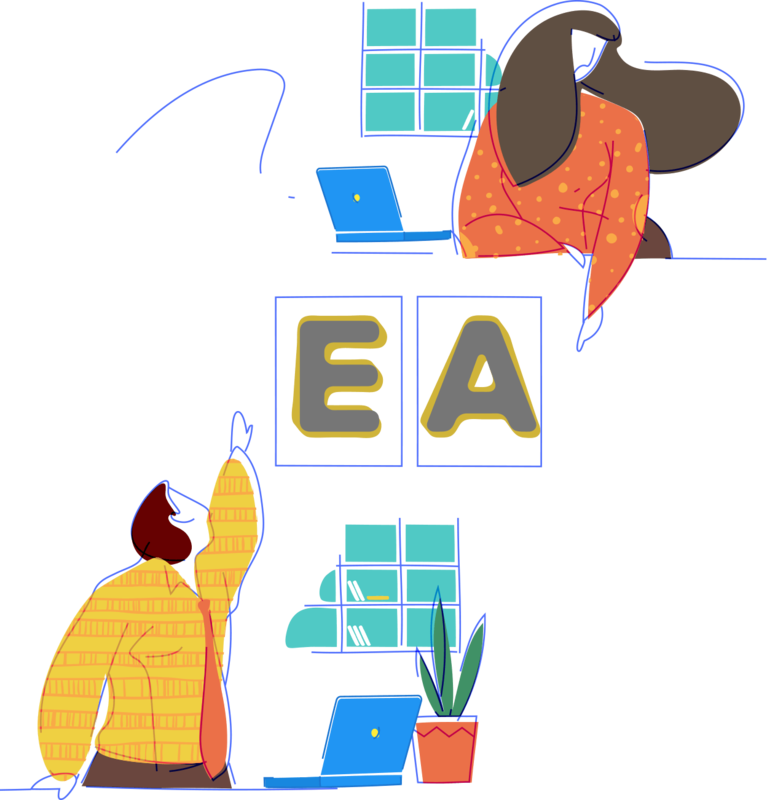 "We tried help desk applications like Zendesk, Desk.com and zoho for enhancing our support function. And we decided to stick with Zoho because it’s highly customisable and the response from the team is fabulous!" 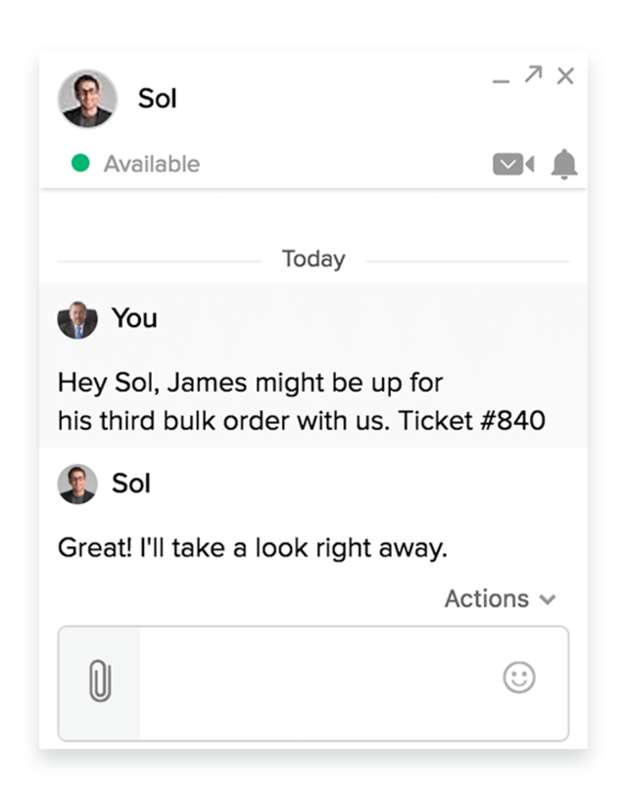 Zoho Desk automatically sorts tickets based on priority, time and CRM status. 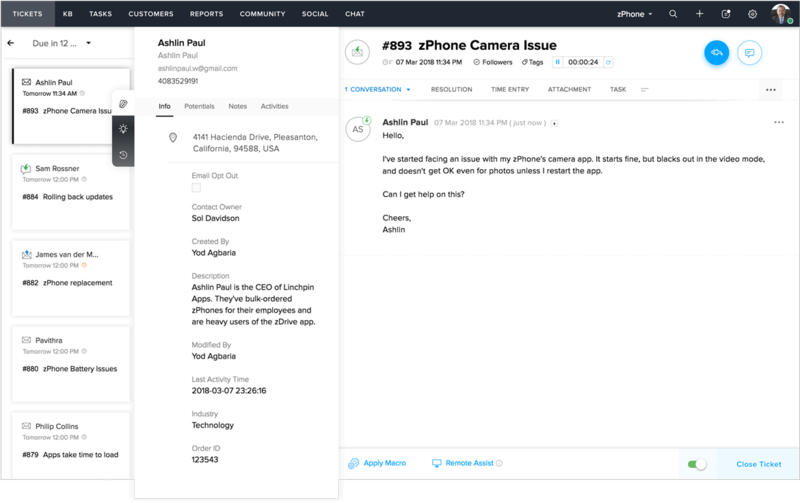 Workflow rules, SLAs, Tasks—all you need for smooth and uninterrupted customer service. Customize your support software and make it truly yours, in every way. Switch to better customer service for free.